You will get Rererral code option if you have not installed myntra in your mobile before and you have non rooted device.if your device is rooted and you have installed myntra before,then follow below method for how to get refer code in rooted device. 2.Open App,A pop up will show below on the app tick on "I have a Referral Registration code",Now click on Register. 3.Enter your personal details and submit it. Note-You will not get 100 on sign up if you will not use our or any other refer code. 5.Now confirm your mobile number by entering otp. 6.You will get Rs 100 as joining bonus,Make purchase from it. 1.Go to Menu >> Refer & Earn. 2.You will see your referral code,Share it with your friends. 3.You will get Rs 100 when your friend will use your referral code during registration and Make first purchase in the app. 4.You can earn upto 2000 by refer & earn program. 2.Now Open Xposed Installer App, Goto Framework options and click on install/update. 3.Now wait until it installs its binaries and ask you to reboot your device,click on Ok button. 4.After completion of reboot, Open Xposed Installer again and goto modules, check (mark) infront of Xprivacy & Lucky Patcher,Root Cloak.Again go to framework and soft reboot your device. 5.Open Root Cloak app >> Add/Remove apps.Click on + icon find myntra and click on that. 6.Open Xprivacy >> Tick on Myntra App icon>> tick on phone & Identity >> Tick on shell(Also Under shell must tick on su and sh Both) >> Click on three doted line >> Setting >> Randomize Privacy Values >> Save.Go back and exit. 7.Open DeviceFaker,Grant superuser permission for it.Reboot your device so that core files can istalled. 8.After Reboot Open DeviceFaker then click on fake.Now you device will turn in unrooted device. 9.Open Myntra App and sign up with with our refer code ar9yrs.Go to menu and get your referral link. Note : Click on unfake everytime in device faker when you are changing privacy value in Xprivacy or using root cloak. A Rooted Device & All apps which we have already mentioned in "How To Get Refer Code In Rooted Device"
1.First download & Install all required apps from above. 2.Open Lucky Patcher >> Click On Myntra App >> Tools >> Cick on Clone Application.Process may take some minutes give all permissions as yes while processing. 3.This cloned myntra app will show below the first myntra app whereever xprivacy,root cloak,lucky patcher. 4.Open Root Cloak app >> Add/Remove apps.Click on + icon find myntra and click on that. 5.Open Xprivacy >> Tick on Second Myntra App icon>> tick on phone & Identity >> Tick on shell(Also Under shell must tick on su and sh Both) >> Click on three doted line >> Setting >> Randomize Privacy Values >> Save.Go back and exit. 6. Open DeviceFaker then click on fake.Now you device will turn in unrooted device. 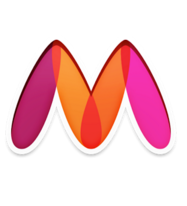 7.Register in cloned myntra app with your own refer code and make first purchase in it to get 100 in your main account. 8.Now go to phone setting,Clear data of this cloned app,Again radomize all privacy values in xprivacy of this cloned app,then Register again in myntra with your own refer code,Do it for unlimited times and collect upto 2000 credits in your main account.